Now you have options, utilize our scheduled service or we also can shred onsite at a competitive rate. Call to find out how easy it is to dispose of your private information. Whether based upon regulatory requirements, security needs, or internal document retention policies, organizations need not only retain certain records but must also ensure proper destruction of those records at the end of the documents' useful life. To address this need, Offsite Data Depot provides several options to collect and professionally destroy your obsolete documents, including onsite collection bins and certified shredding and disposal. The trash is considered by business espionage professionals as the single most available source of competitive and private information from the average business. Any establishment that discards private and proprietary data without the benefit of destruction exposes itself to the risk of criminal and civil prosecution, as well as the costly loss of business. Looking for Secure, Reliable, & Confidential Computer Hard Drive Shredding Services? Upgrading or phasing out a computer in your organization? The contents of it's hard drive contain sensitive information even if the drive has been formatted or cleaned out. 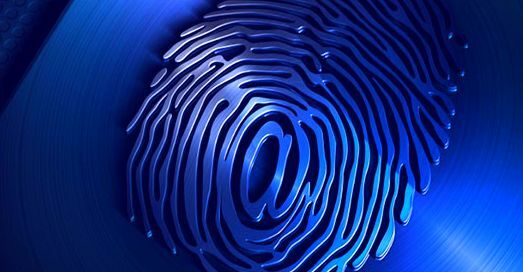 Make sure that it's data is completely destroyed and doesn't fall in the hands of identity thieves. 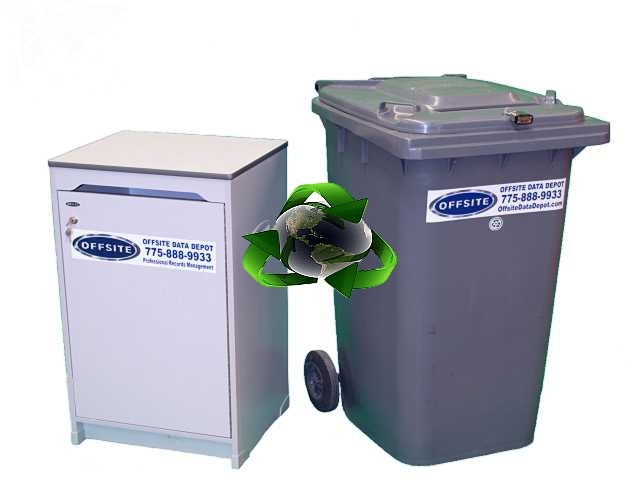 Offsite has the experience and ability to shred the entire drive, making sure that the data contained on it is completely destroyed. Offsite can shred paper, microfilm, microfiche, x-rays, computer disks, and data tapes. Additionally, we can provide on-site locking containers for both paper and non-paper media to be picked-up at your request. These bins come in two convenient sizes: large, molded plastic containers or smaller, convenient wooden office consoles which fit better with office decor. Both have a paper/media slot and a secure, metal locking mechanism on the lid that can only be opened by Offsite personnel utilizing our key. We offer a selection of lockable security consoles and bins to place throughout your office/facility to deposit and store your sensitive information. Based on your needs, we will service these containers daily, weekly, monthly, or as needed. Our drivers will arrive on the scheduled date of service to collect the lockable security bins and safely deliver them to our secure facility. Following destruction, all shredded material is recycled and you will be provided with an itemized invoice and a Certificate of Destruction. You should retain this important legal document to demonstrate that due diligence was used to protect the confidential records. For clients requiring annual, one-time or periodic purges, Offsite can destroy any quantity of stored material no matter how large. Offsite serves many locations such as Carson City, Reno, Minden, Gardnerville, Lake Tahoe, Fernley, Yerington, Sparks and Dayton to name a few.